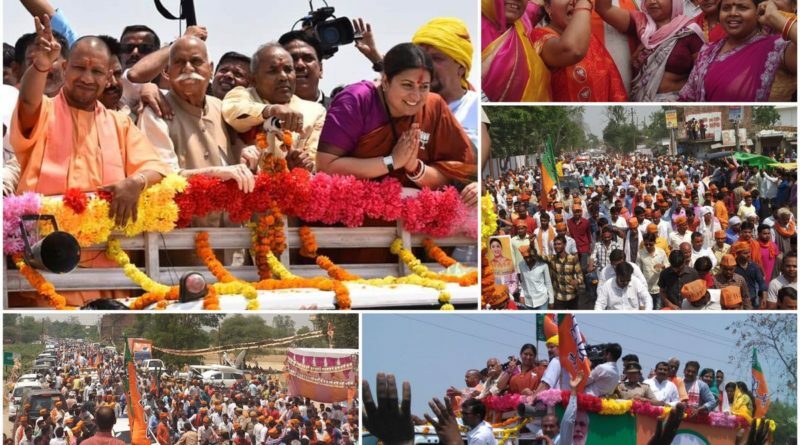 UPA Chairperson Sonia Gandhi, 72, and Union Textiles Minister Smriti Irani, 45, have filed nomination papers for contesting the May 6 Lok Sabha elections from Rae Bareli and Amethi respectively in Eastern Uttar Pradesh. Sonia Gandhi is representing Rae Bareli since 2004 after winning in 2004, 2006 (by-poll), 2009 and 2014.There will be straight contest between Sonia Gandhi and Dinesh Pratap Singh as BJP candidate after UP based Samajwadi Party and BSP have decided not to field candidate against her. Dinesh Pratap Singh was till recently a Congress activist. While Smriti was accompanied by Uttar Pradesh Chief Minister Yogi Aditya Nath, her husband Zubin Irani and BJP leaders, AICC President Rahul Gandhi, party’s General Secretary Priyanka Gandhi, her husband Robert Vadra and their children participated at Soniaji’s puja before she filed nomination paper for seeking election from Raebareli for the fifth time in a row. 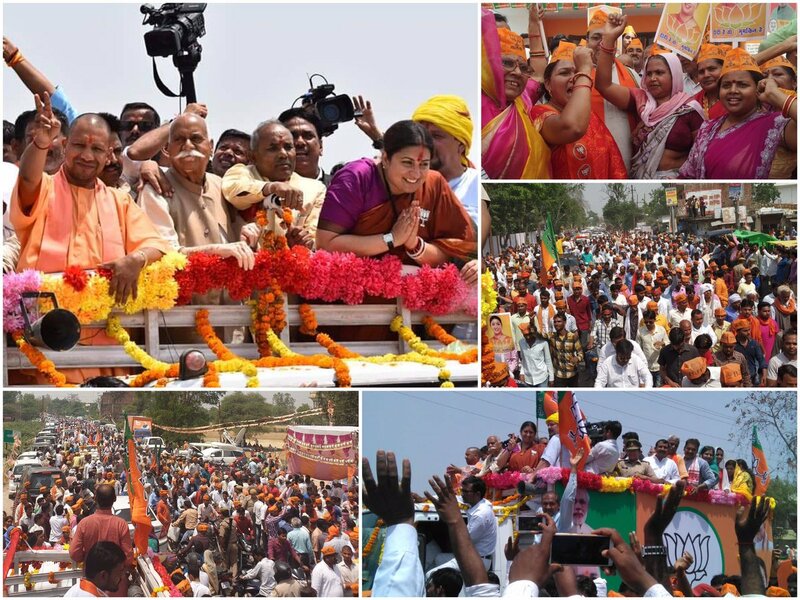 She had moved to Rae Bareilly from Amethi, located at a distance of 64 km, so that Rahul Gandhi could come to Lok Sabha for the first time in 2004.Smriti had unsuccessfully contested against him in 2014 Lok Sabha poll. The fiery BJP leader however was able to reduce his victory margin substantially ringing alarm bell in Congress party’s headquarters. 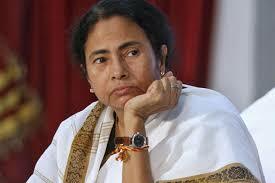 Like Rae Bareily,SP and BSP are not putting up any candidate in Amethi against the Congress chief. 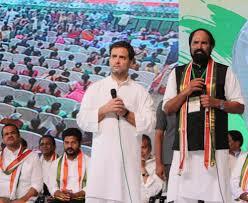 Rahulji is also contesting Lok Sabha election from Wayanad in Kerala. He had filed nomination paper s for both Amethi and Wayanad.